Alien hologram with a deranged hatred of organic life. 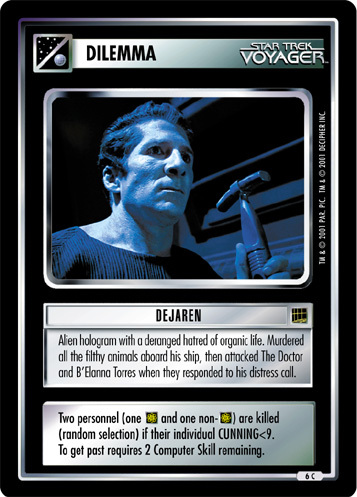 Murdered all the filthy animals aboard his ship, then attacked The Doctor and B'Elanna Torres when they responded to his distress call. Two personnel (one and one non- ) are killed (random selection) if their individual CUNNING<9. 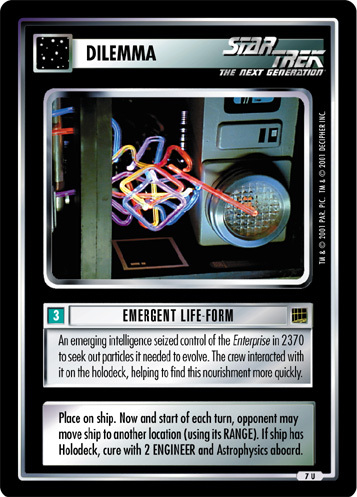 To get past requires 2 Computer Skill remaining.